Tidiness is generally considered a virtue, something we should aspire to. Some people seem to be naturally tidy and have always been that way, even as children. For years I felt guilty about my habit of leaving things in piles rather than putting them away. My excuse is I will be using them again soon so it's wasting time to pack them up and then drag them out again a couple of days later. I was surprised to note it was sometimes after I tidied and put things away that I had the most trouble finding stuff. I was interested and somewhat relieved when I came across research saying being somewhat untidy actually isn’t such a bad thing. Research done by Professor Kathleen Vohs at the University of Minnesota showed participants working in a messy room were more creative and willing to try new things than those in a tidy room. Eric Abrahamson and David Freedman wrote the book, ‘A Perfect Mess: The Hidden Benefits Of Disorder’. In it they claim people with a cluttered work space tend to be more creative because of the stimulation provided by having an assortment of materials accessible and visible. Messy desks or tables are also said to foster problem solving. A disorganised setting is more likely to encourage brainstorming than a tidy one. Many creative people including writers, sculptors and cooks confess to having untidy work areas. 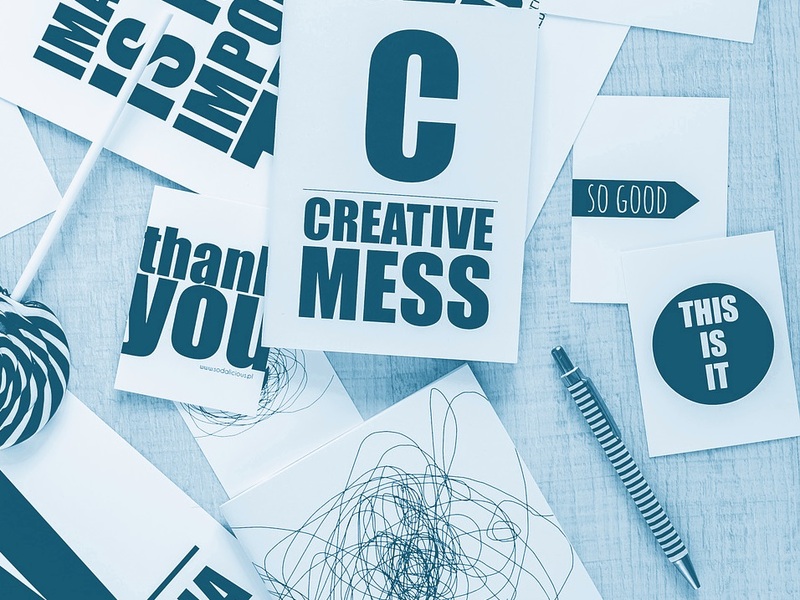 Famous people known for their creativity and innovation who are reputed to have messy work areas include Roald Dahl, Mark Twain, Alexander Fleming and Francis Bacon. People who have a tidy work area, whether that be a desk, kitchen counter, table or studio aren’t necessarily more time efficient. It takes time to be constantly sorting and organising. It has been suggested it is a better use of time to have a big clean up every now and then instead of continuously organising. People with ‘fairly messy’ work areas surprisingly spend less time looking for things according to Abrahamson and Freedman. Ha! That explains why I sometimes find it more difficult to find things when I have put them away! People who dislike visual clutter sometimes just put things out of sight without organising them, resulting in a problem finding what they need later. A neat person isn’t necessarily organised and a messy person may not be disorganised. The research suggests there can be benefits in a ‘fairly messy’ work area but is not promoting an unhygienic area or out of control chaos.So, if your craft area is a bit of a mess, don't feel guilty. On the other hand if you prefer things to be tidy, that's fine too.